NOTICE: 08.november.2005 - Hear ye, hear ye. After two years with this system (designed in 2003), I have designed a new system: Le Black Beast 2006. 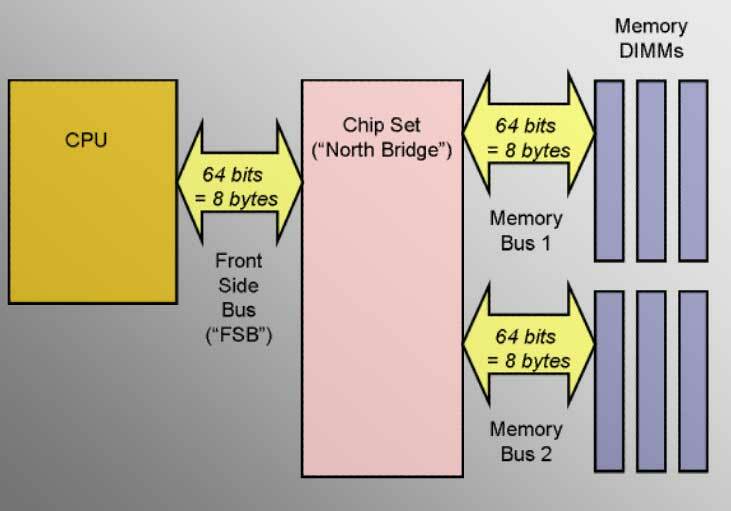 Note that many people are still using systems based on designs similar to what is detailed below (865/875 chipset). Those systems should work well for quite some time. Building your own PC can be a blast. So whenever friends ask for advice on how to design a computer for themselves, I simply modify the components you see listed in the grid below to reflect their particular needs and budget. Most want a computer that's fast, versatile and stable. They don't mind paying a little extra for hardware, as long as it will buy them features & performance they can actually use. So economics is always a factor. I enjoy this type of challenge and have yet to disappoint. Aesthetics is also a factor, which means the system has *look* cool .. which (of course) means it has to be BLACK. The particular system you see detailed here was designed for a friend who does graphics & video work by day, before turning it over to the kids for online gaming at night. All items listed should be in stock. I like Newegg. They have competitive prices and ship fast. For an extra $2.99, they'll rush your order. It usually takes 2 or 3 days for the FedEx man to show up at your doorstep .. with all those beautiful boxes. Newegg's impressive reseller rating is posted here. More importantly, they have a lenient return/RMA policy. I know people who actually broke stuff, and Newegg *still* took it back, even after the allotted time. If you've ever done business online, you know how rare this is. CrazyPC is a good alternate to use for those times when Newegg is out-of-stock. Their similarly-impressive reseller rating is posted here. CrazyPC is based in Michigan. They charge state tax only on items shipped to a Michigan address. Newegg is based in California, Tennessee and New Jersey. Only orders shipped to those two states are taxed. 21.june.2004 - Major changes hit the PC world. Hailed as the "most significant PC changes in a decade", Intel releases their new chipsets: Grantsdale and Alderwood, i915P&G and i925X. They also release their new 0.9-micron Prescott CPUs with LGA-775 packaging. But Intel's new chipsets & CPUs are having problems (see here & here). Plus, they don't (yet) offer better performance than found with previously existing technologies (875+Northwood-478, see here). So it might be best to stick with 875+Northwood-478, because *stability* is always the most important consideration. At least, that's how I see it. If you can wait a few months, Intel will release a new stepping (upgraded version) of/for these new products, which should correct the problems. If you can wait until next year (2005), that would be a better time to opt for something with the i925X chipset + the LGA-775 Prescott CPU, because Intel should then be offering components that support an FSB of 1066-MHz (see here and here) and have all the kinks worked out. Update 11.august.2004: Seeing that Intel's new chipset technology offers no performance improvements and would cost significantly more (need new DDR2 RAM, PCI-graphics card, etc), the smart people are sticking with 875+Northwood+DDR1 for the time being. When a 3.6-GHz CPU can be purchased for less than US$400 and FSB 1066 is available, that would be the time to re-evaluate this question. Until then, I suggest sticking with what is listed below. We all love new technology, but we must use our wallet wisely and be good techno-capitalists. See here and here for more along these lines. Update May 2005 - Northwood CPUs are nearly impossible to find. Looks like we're forced to get a Prescott CPU, which are designated by the letter "E", such as Pentium 4 3.4E. 3.4-GHz is the fastest speed available for 478-pin packaging. Links for DRIVERS have been coded (where applicable) into the COMPONENT column. Some COMPONENTS listed below (such as MONITOR and GRAPHICS CARD and SOUND CARD) have *two* items to select from .. depending on your particular preferences. * - Includes onboard Firewire (IEEE-1394) controller (Via Firewire chip). ** - You want68-pin connector, not the 80-pin connector. http://www.axentmicro.com/huzrb/partdetails~af~gle~mp~8E036L0.htm .. the tilde (~) gets converted to "%7E". *** - You might need one of these dual-RCA to mini-sound adapters. # - Graphics card selection is always a key decision. If you want to edit video with Avid Xpress Pro, I recommend the Matrox Parhelia-128 ($340), which is only card that supports 3 heads, to be used with two IDENTICAL monitors (either flat panel or CRT) + 1 NTSC (TV) output. See HERE for more. !! - The Audigy2 offers best compatibility for editing with Avid Xpress DV. But only install the drivers, not the software package that comes with the card. For this reason, it's best to order an OEM version. ++ - This flat-panel monitor contains both an analog d-sub *and* a digital DVI port. Even if your graphics card does not have a DVI port, it's still a good idea to get a DVI-capable monitor because DVI ports will become more popular in the future. You pay ~US$50 extra for this feature over a monitor without a DVI port. You may (probably) also need to purchase a DVI cable, such as this one. They're not cheap. See HERE for clarification. Note: the external drive comes pre-formatted as FAT32. It is best re-formatted as NTFS, so you don't run into the 4-GB file-size limitation associated with FAT32. It supports both USB 2.0 (60MB/sec) and Firewire (50MB/sec) interfaces. ## - Replaceable black front bezel included with the Plextor DVD burner. Case: Surprisingly light. Well designed. Comes with 4 fans and extra items other cases skimp on. A separate plate on the back removes to easily install the power supply. Power Supply: Plenty of cable length Rock solid rails. Motherboard: Comes with all the extras you could ever want, including adapters and cables for SATA drives. No skimping. The v1011 BIOS is the last to support Northwood-478 CPUs. Use that one if you have a Northwood. Subsequent BIOS revisions are for Precotts. Use the latest (v1016 or 1017) if you have a Prescott. CPU: Comes with a thermal pad. You will get better cooling by removing the pad and applying thermal paste. Make sure to get the Retail CPU, as the non-Retail unit does not some with a heat sink. Some have used after-market heat-sinks. Memory: Make sure to get the *twin* pack. Cheetah: If you are sensitive to sound, you do not want this drive. While it is not loud per se, it is louder than a 7,200-RPM IDE drive. If you put the case on the floor, under the desk, it will be away from your ears. If the floor is carpeted, it will help deaden the sound even more. SATA Barracuda: The latest update to Norton Ghost supports SATA drives. Monitor: A button outside of the case that allows you to increase screen brightness with a single push. Nice feature when playing 3D games. Note that this is an aperture grille tube. Almost impossible to see the 2 horizontal stabilizing lines. Speakers: More than adequate. Easy to wake the neighbors. Headphones: Like slippers for your ears. 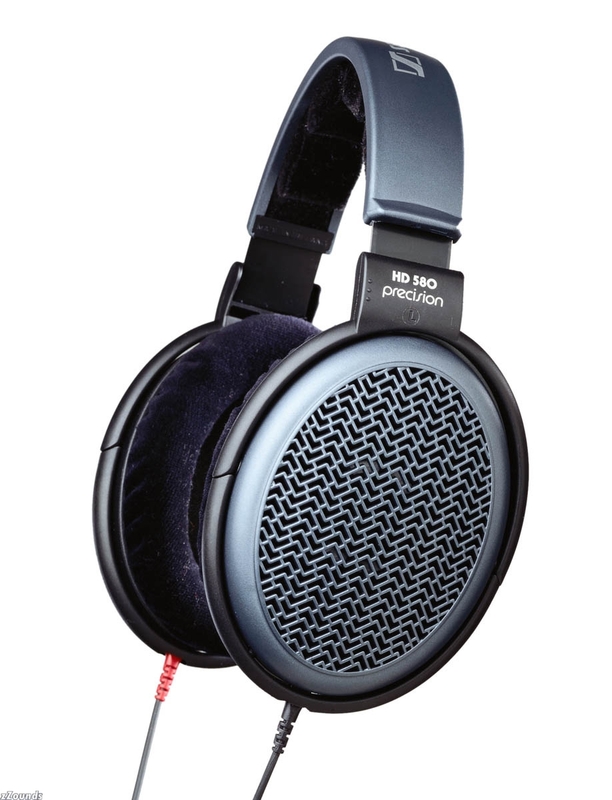 The most comfortable headphones you will ever wear. Mouse: The IntelliPoint mouse drivers from Microsoft cause problems in some games. It's best not to install them. The mouse works fine with the standard Windows drivers. Floppy: Easy to connect the data cable upside down. If your data-transfer light remain lit constantly, simply reverse it. No damage will occur. Light should only be lit during data transfer.